Curcumin is a diarylheptanoid which is found in turmeric rhizomes. Within turmeric, it is one of many curcuminoids with curcumin reportedly being one of the most efficacious of the curcuminoids. Turmeric is a commonly used spice which has been used for centuries in countries such as India. Turmeric has some unique properties, the most profound of which is its ability to give a strong yellow/orange color to anything it comes into contact with. In 1815, Vogel and Pelletier figured out that curcumin was the compound in turmeric responsible for the yellow dye effect. At the time, it was believed that curcumin was simply a dye but research from the last century has shown us that curcumin is much more than just a yellow dye. Curcumin extract has been shown in numerous scientific studies to support healthy inflammatory and oxidative processes throughout the body and even in the brain. In addition to this, it has been shown in various studies that a curcumin supplement can support cognitive function and help promote a positive mood. This all sounds great on paper, however, in practice it is far from ideal. Curcumin extract is poorly water soluble and has very low bioavailability, thus most of the positive effects mentioned above cannot be realized completely by using just plain curcumin. There has been an enormous effort to optimize curcumin supplement absorption. One of the first ways curcumin absorption was enhanced, is through traditional preparation in foods such as curry. Many curries are made with large amounts of turmeric, combined with other spices such as black pepper. The curcumin content of the turmeric is what causes the curry to become yellow whereas other components in the turmeric impart unique flavors in the curry. The other spices in curry are largely responsible for the bulk of the taste of curry and not much else (except for black pepper which has some unique effects that synergize well with curcumin). Black pepper contains piperine which inhibits a process in the liver called glucuronidation. Glucuronidation signals for various substance to be removed from the body and unfortunately curcumin is one of these substances. 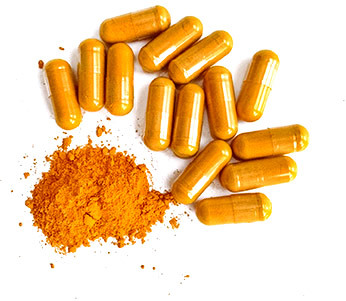 However, by inhibiting glucuronidation we can significantly enhance the absorption of a curcumin supplement and by doing this, we can enhance curcumin health benefits. It is interesting that turmeric and black pepper are often combined in food as the combination should produce many of the positive effects that turmeric and curcumin are revered for. The supplement industry has capitalized on this idea and it is one of the main ways by which curcumin supplements are made more bioavailable these days. What is the best Curcumin Supplement Available? The common consensus is that curcumin supplements that contain piperine are the best curcumin supplements currently available. However, curcumin with piperine, is not completely flawless. This is due to the fact that piperine can also increase concentrations of undesirable compounds in the body. In addition to this, piperine does not significantly enhance the uptake of curcumin into the brain. To improve on curcumin with piperine, various different techniques have been employed, such as creating a curcumin phytosome in order to enhance curcumin bioavailability. In our opinion, the best curcumin supplement was created by a team of neuroscientists at UCLA in collaboration with Verdure Sciences. This curcumin supplement is called Longvida curcumin and is made by loading curcumin particles into a lipophilic matrix using a technology called Solid Lipid Curcumin Particle (SLCP). SLCP technology dramatically increases the absorption of curcumin, without the need for any piperine. In addition to enhanced absorption into the body, the SLCP technology also allows for efficient uptake of curcumin into the brain. This makes longvida curcumin one of the best curcumin formulations when it comes to brain health. - Slow and regulated absorption, a single Longvida dosage of 400 mg can elevate free curcumin levels in the body and brain for a period of 24-hours. According to Longvida curcumin studies, longvida achieves this by protecting the curcumin from the harsh environment of the stomach, which allows the highly lipophilic Longvida to pass through the intestines and into the blood stream. In addition to this, the SLCP technology keeps curcumin levels elevated throughout the body, for up to 24 hours hours. This means that a single dose of Longvida can produce positive effects throughout the whole day without the need to redose. A Longvida curcumin supplement may also further support cognition and mood, through a variety of mechanisms. One of the most unique mechanisms is that curcumin may support the body’s production of docosahexaenoic acid (DHA). DHA is an omega-3 essential fatty acid that plays a pivotal role in the brain. Most of the DHA our brains require are sourced through our diet in foods such as seafood. However, the body can also synthesize DHA from alpha linoleic acid (ALA), a common omega-3 fatty acid found in foods such as flax seed. The problem with this is that the rate of synthesis of DHA from ALA is notoriously low. This problem may be improved by curcumin, as curcumin preservers already existing DHA in the brain, while also elevating the enzymes responsible for converting ALA to DHA. This means that curcumin may be a great way to elevate DHA levels in the brain without the need for consuming seafood. This should be especially beneficial for vegans and vegetarians, whom often times consume a lot of ALA but limited quantities of DHA. One of the biggest double-edged swords when it comes to mood and cognition is the glutamatergic system in the brain. On the one hand, it is absolutely crucial for learning and memory. On the other hand, it can overexcite cells in the brain, which may inflict major damage on them. Due to this, we want to always ensure that glutamatergic signals are balanced, and that we are protected from glutamatergic overactivity. Curcumin may regulate glutamatergic overactivity while not significantly limiting glutamatergic activity throughout the brain. This is ideal, as we are preserving the positive effects of glutamatergic signaling, while limiting the negatives. Curcumin’s effect on modulating glutamatergic activity is especially important during periods of stress. Stress produces a cascade of various hormones, one of which is corticosterone. Corticosterone can activate glutamatergic receptors. Curcumin appears to be especially efficient at reversing glutamatergic overactivity, tus protecting our brains and preserving our brain power during periods we need it most. In addition to stress-causing glutamatergic overactivity, it can also adversely affect the levels of brain derived neurotrophic factor (BDNF). BDNF is a protein which regulates brain growth (neuroplasticity) and by regulating neuroplasticity, BDNF may support brain health, improve cognition and boost mood. Luckily, curcumin studies have shown that it may boost BDNF levels, and thus protects the brain even further during stress. The elevation of BDNF seen with curcumin, is actually so significant that it can promote brain function, independent of protecting from stress. Again, this is where Longvida shines, as normal curcumin does not reach the brain in significant enough concentrations to induce these effects. Another target, that appears to be unique to Longvida, is inhibition of glycogen synthase kinase 3 beta (GSK-3 beta). GSK-3 beta is an enzyme that has widespread inhibitory effects throughout the brain. Inhbition of GSK-3 beta, by Longvida, can result in enhanced neuroplasticity and functioning of various neurotransmitter systems. As such, inhibition of GSK-3 beta by Longvida can promote a positive mood. What are the General Health Benefits of Curcumin Extracts? In addition to the comprehensive benefits Longvida curcumin has on the brain, it is also a great overall health booster. Curcumin appears to have an overall protective effect on the cardiovascular system, especially on our blood vessels. One of the ways by which curcumin achieves this is by significantly upregulating circulating nitric oxide levels. Nitric oxide is a signaling molecule which causes blood vessels to relax. This is often referred to as vasodilation. Vasodilation will promote blood flow, which should have an overall positive effect on the cardiovascular system. In combination with curcumin’s oxidation and inflammation support, this benefit indicates that curcumin can be a great option for promoting healthy cardiovascular function. Curcumin has also been found to be a potent activator of 5' adenosine monophosphate-activated protein kinase (AMPK). AMPK is an important regulator of metabolism and activation of AMPK can promote healthy metabolism. By activating AMPK, curcumin can support weight loss, which can further help boost overall health and cardiovascular health. In addition to promoting a healthy metabolism, curcumin can also help protect our muscles. In fact, curcumin may even aid muscle growth and thus, curcumin can potentially enhance the benefits of physical exercise and support exercise recovery. Curcumin, through its ability to support a healthy inflammatory response, may also support joint health which can be a major concern in various high impact sports. Overall, Longvida curcumin appears to be a great choice for just about anyone. 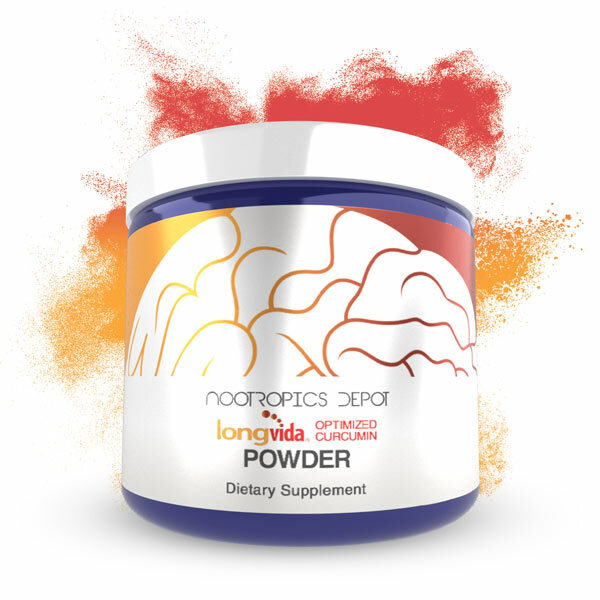 Whether you are looking to support brain function, improve general health or even push physical capabilities of your body as an athlete, Longivda can help achieve these goals. 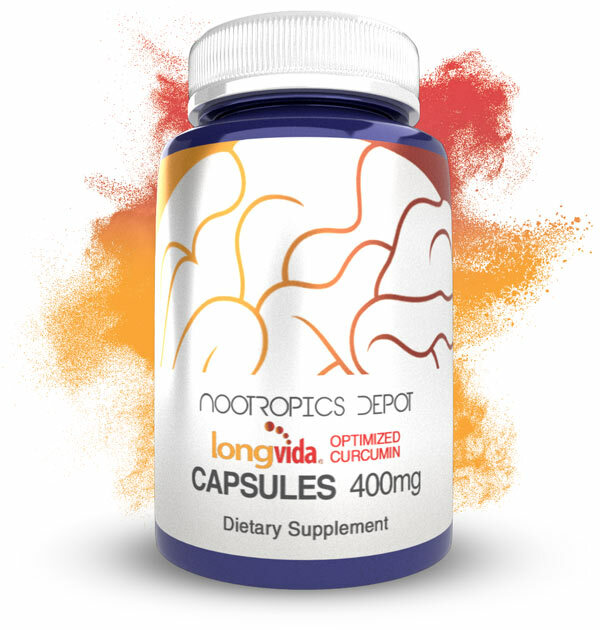 Nootropics Depot offers Longvida in a convenient-to-use 400 mg capsule or as a powder for those who wish to include Longvida curcumin in foods or smoothies.